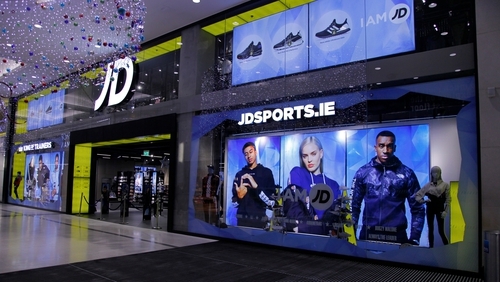 JD Sports Fashion has today reported better-than-expected full-year earnings, benefiting from acquisitions in a challenging retail environment at home. The company has bulked up over the past year with the purchase of US-based Finish Line and smaller rival Footasylum. It has also gained from the "athleisure" trend, which sees people sporting gym clothes at work, school and other social occasions. The UK retail industry has been hurt by lower consumer spending given uncertainties from its impending exit from the European Union, higher costs as well as a shift to shopping online. JD Sports, with more than 2,400 stores that sell brands including Nike, Puma and Adidas, has weathered the storm thanks to its international footprint. Rival Sports Direct has faced a series of failed takeover attempts including Debenhams and Findel. The UK's biggest sportswear retailer, which was founded in 1981, said headline pretax profit jumped 15.5% to £355.2m for the 53 weeks ended February 3. Revenue for the year surged 49.2% to £4.72 billion. As per company-supplied consensus, analysts had estimated a pretax profit of £349.2m and revenue of £4.56 billion.